Add luster to your look. 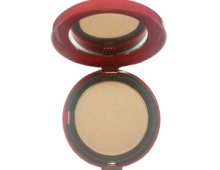 This trio of creamy sheer highlighting colors can be used on eyes, cheeks, and lips. Subtle enough to be worn every day but can be applied with more intensity for evening glitz. 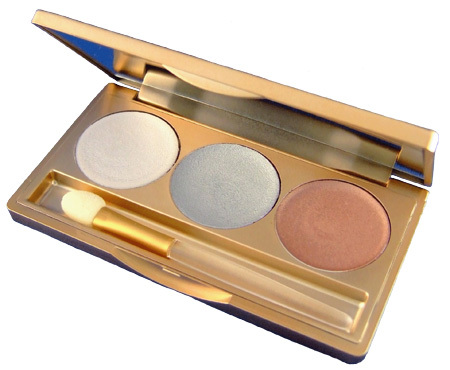 This trio of creamy sheer highlighting colors can be used on eyes, cheeks, and lips. Wear Pearl on your eyelids with no creasing! Pearl-gloss your eyes, cheeks, lips, and shoulders! Just press Brenda Christian Millennium Sheens (Pearl White, Platinum, or Bronze) over your regular eye makeup or cheekbones. Mix a bit with our Body Nurture Oil and create a beautiful glow for your shoulders. Press over powder eye shadows with fingertips. Apply around lips with a lip brush. All colors can be mixed for unlimited color possibilities. Press above the brows to create lift and sheen. Ethylhexyl Palmitate, Polyethylene, Ozokerite, Tocopheryl Acetate, BHT. May Contain Titamium Dioxide (77891), Iron Oxides (CI77491, CI77492, CI77499), Mica (CI77019), Utramarines (CI77007), Chromium Oxide Greens (CI77288), Chromium Hydroxide Green (CI77289), Ferric Ferrocyanide (CI77510), Blue 1 Lake (CI42090 2), Yellow 5 Lake (CI19140 1), Red 40 Lake (CI16035 1). Contains Carmine as a Color Additive.